Hi there!! It's that time of the month again.... for There She Goes Again week where we highlight some of our older sets. 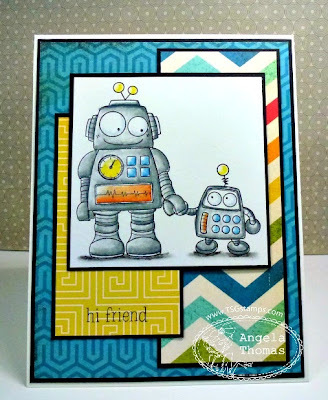 This month, we are highlighting the robot sets :-) For my card today, I've used the Friendbots set and have colored the image with Prismacolor pencils and Gamsol. The layout is loosely based on the current Freshly Made Sketch. 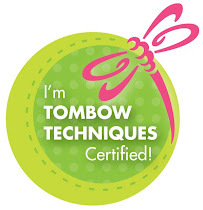 Make sure you check out the TSG blog to see what the ladies have come up with!! Next week is TSG sneak peeks and I guarantee you will fall in love!! !